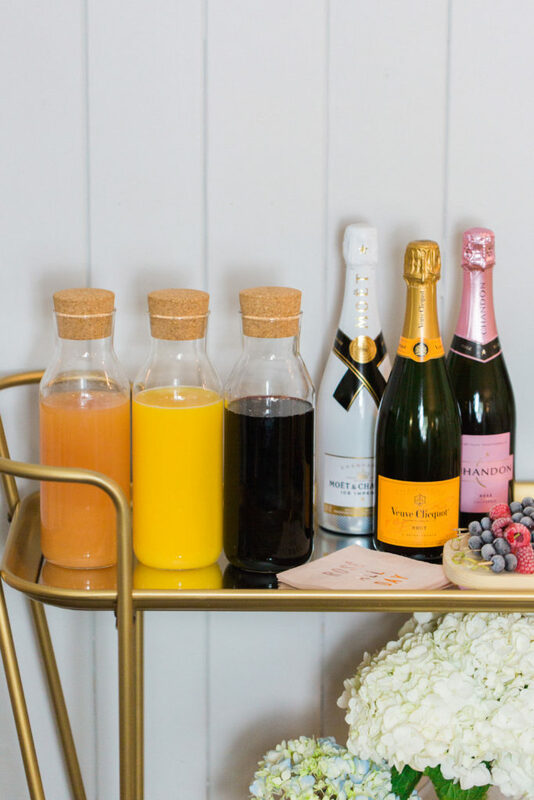 Need a fun self-serve bar for your next party, shower or brunch? 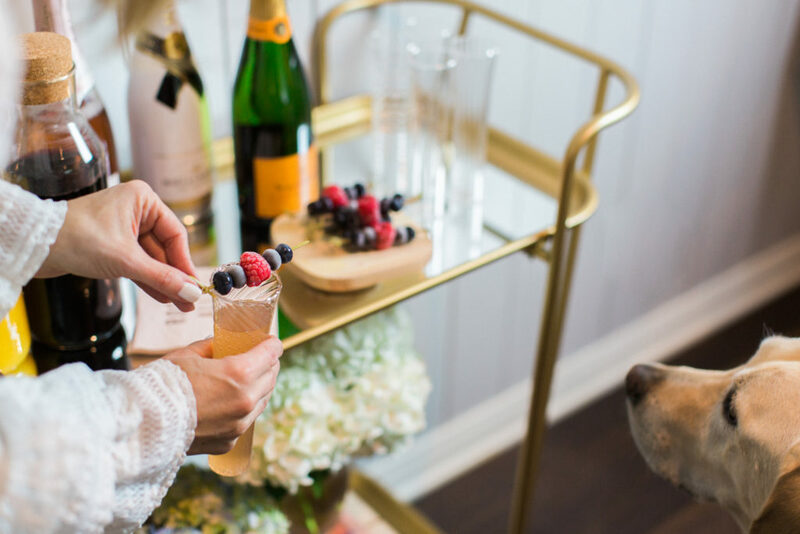 Here’s how to create the prettiest mimosa bar with frosty berry garnishes – your guest will swoon. 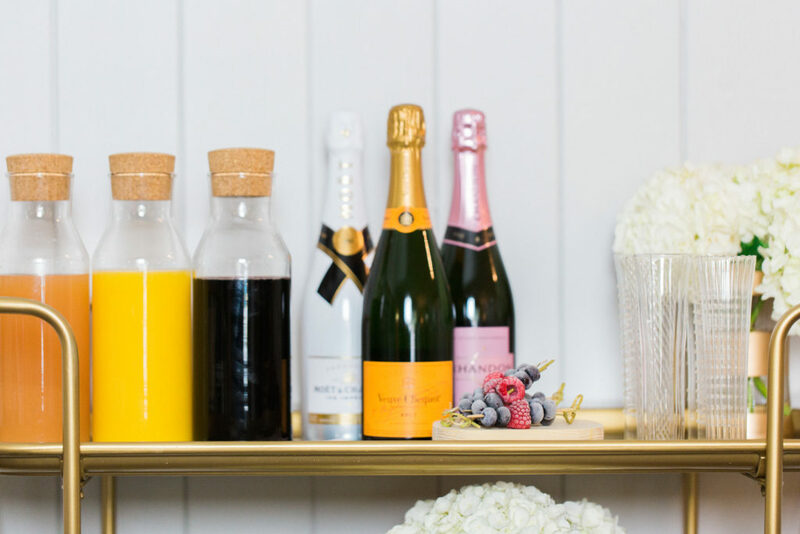 The best part – this will only take you minutes to set up! 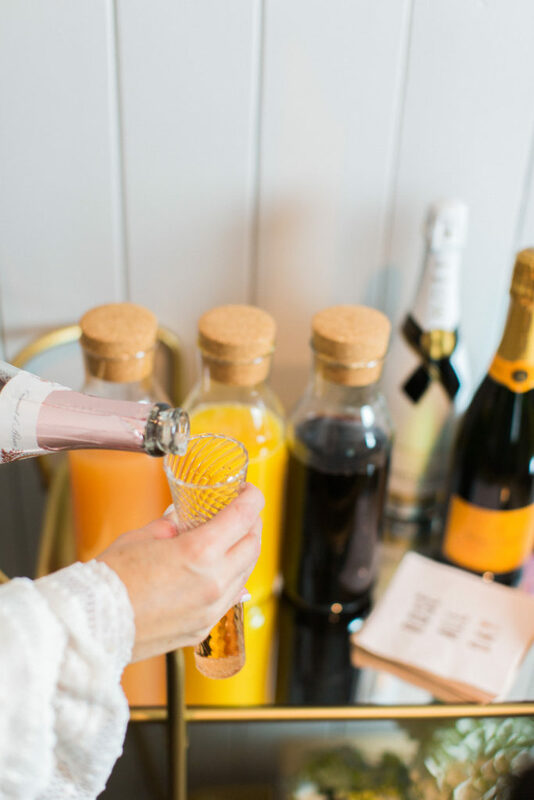 You don’t need to spend a lot of money on expensive champagne – it’s mixed with juice, so it doesn’t need to the finest! 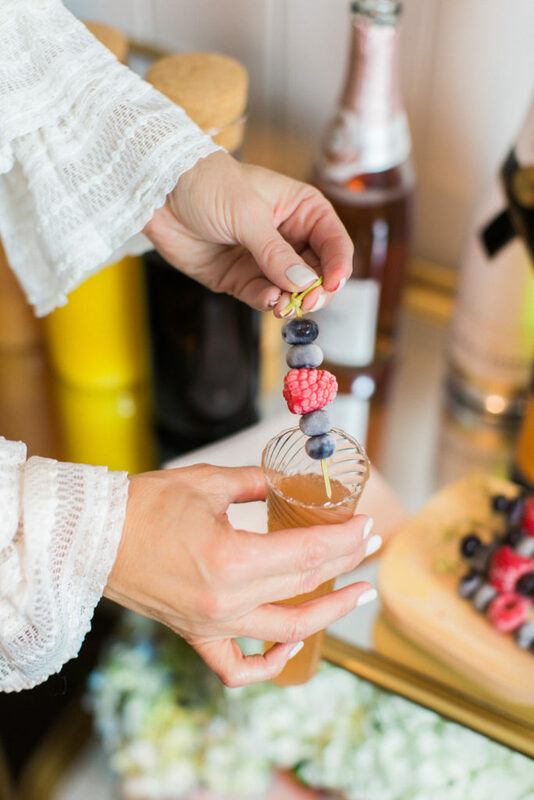 Remove by touching the skewer only – don’t touch the berries! 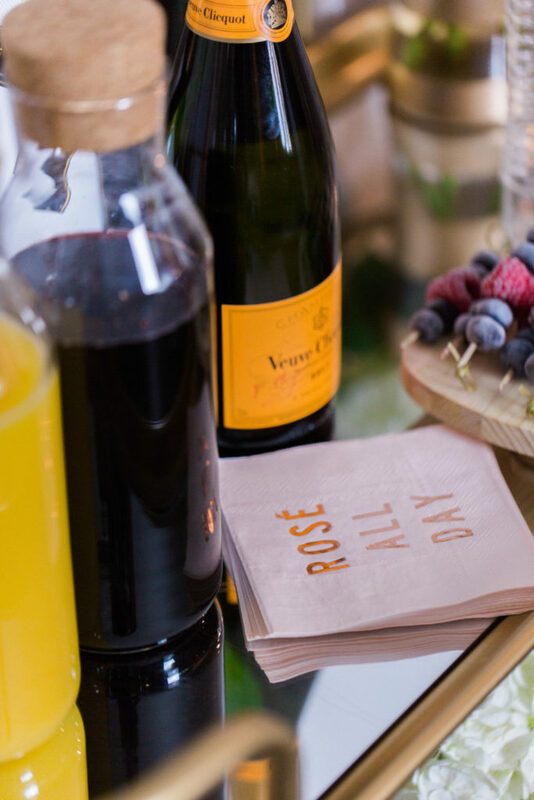 I always get compliments when I use these champagne flutes – they are delicate, but have different patterns on them, which makes them super unique. 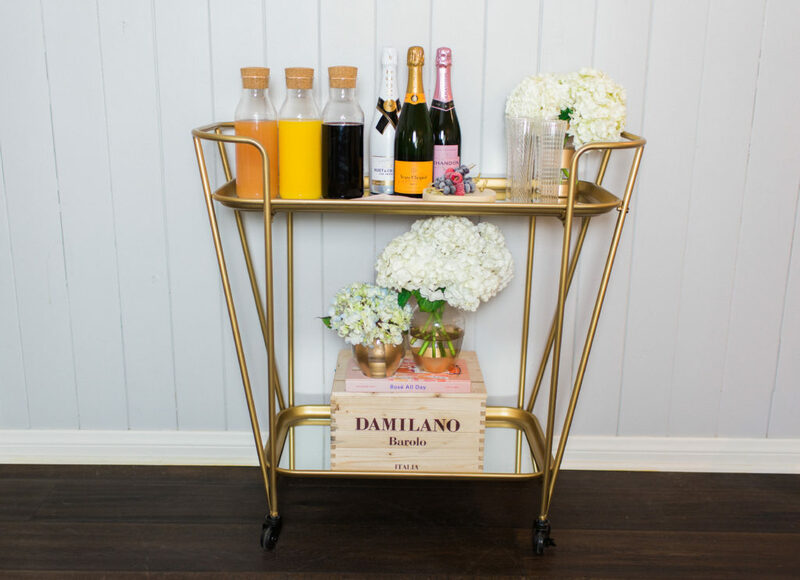 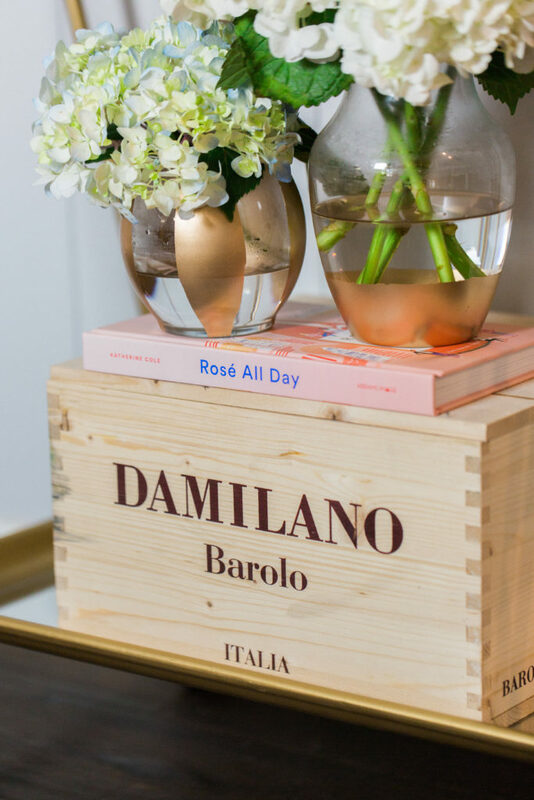 Don’t forget to decorate the lower shelf of the bar cart – it adds to the charm! 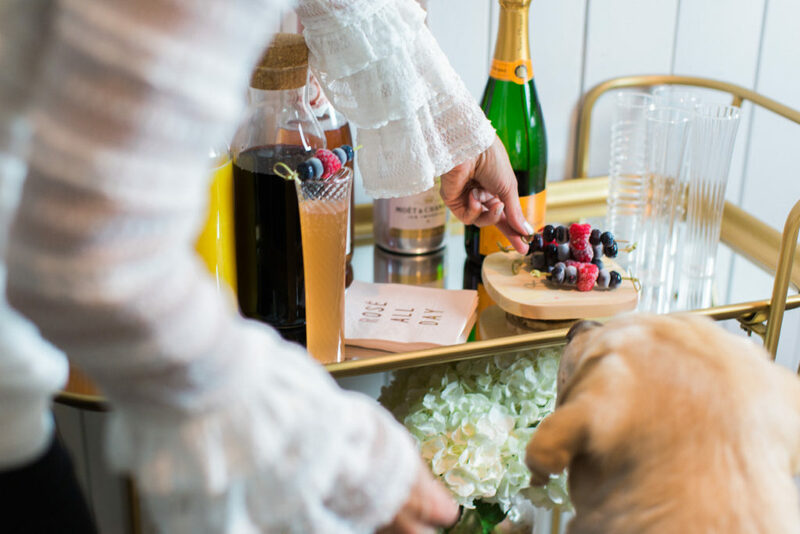 Palmer has way too much interest in the berry garnishes!